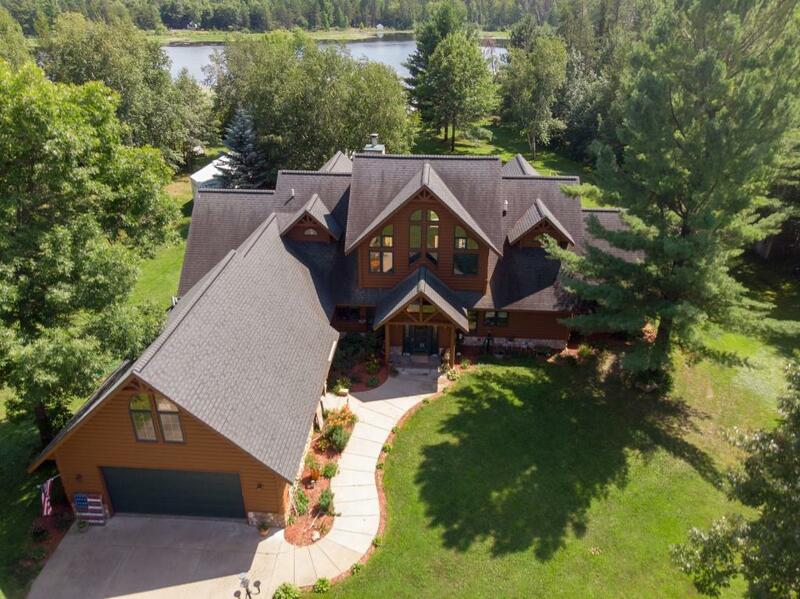 Pelican Lake gem! 4BR 3BA. Soaring vaulted ceilings. Hardwood floors. 2 sided field stone fireplace. Master suite features french doors that walk out to a huge lakeside deck, also features a claw foot tub,walk in shower, dual walk in closets. 2 stall heated attached garage, 3 stall detached and finished garage. Huge bonus room over detached garage. Additional storage garage, playhouse, and sauna. New forced air furnace. Don't miss out on this fabulous home! Schedule a tour today.